Take a rest, sling bags, totes and backpacks. There’s a new kid on the block. It’s the fanny pack! Call it what you may, bum bag, fanny pack or even belt bag, these highly practical bags are slowly planning a world takeover. With Alexander Wang, Gucci, Coach and Louis Vuitton giving the humble old bum bag a new avatar, they have graced the waists of runway royalties like Gigi Hadid, Kendall Jenner and even Rihanna! 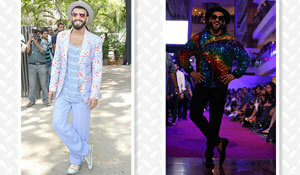 Our own Bollywood fashionistas were not too behind in catching up and we have been seeing quite a few bum bags on everyone, from Ranveer Singh and Karan Johar to Alia Bhatt and Deepika Padukone. The most recent to embrace this trend is Kangana Ranaut and along with her bum bag and killer heels, we bring you other celebs that have been spotted with it. Scroll down and see if you want to get a bum bag too! Black on black except with those flaming heels, Kangana makes quite a statement with her Gucci bum bag. 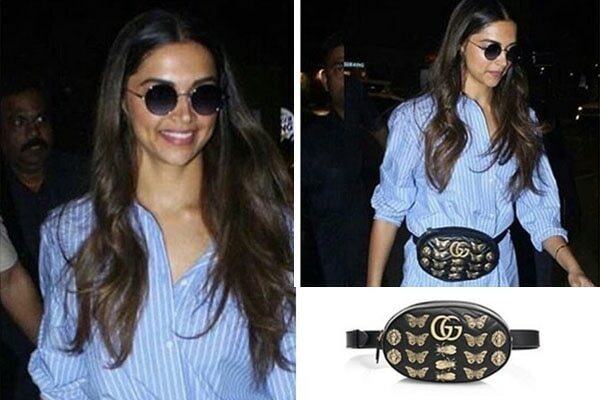 Again a Gucci, Deepika Padukone pairs the bag with a casually worn striped blue shirt. Alia Bhatt pairs her highlighter orange Prada jacket with a bum bag in a matching colour by Gucci. Kriti Sanon keeps is simple with a plain black bum bag with a co-ordinated crop top and bottom. 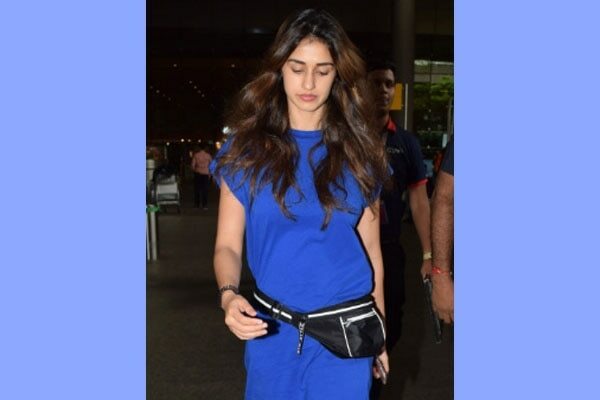 Disha Patani teams the trusty bum bag with a causal blue dress for the perfect airport chic.